For years we have been providing service to hundreds of Illinois customers. We have installed hundreds of systems for multifamily condominiums, Town homes and apartment projects. From jobs as simple as reconfiguring duct work for small office remodels to complete system design and installation, our team is ready to respond quickly to meet contractor or tenant needs in this time-sensitive area of construction. Our crews are prepared to deal with large scale installations, that may include crane mobilization and coordination, and commercial ventilation and exhaust systems. Our team of specialists equipped to help the residential builder deliver everything from a basic production home value package to one-of-a-kind, state-of-the-art systems to satisfy the most discriminating custom home clients. This includes specialized needs such as wine cellars as well as equipment powered by solar and hybrid energy sources. 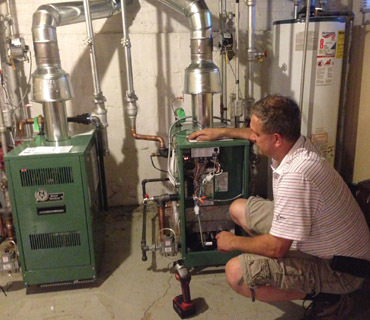 LM Heating and Cooling Service, Inc.